AN 18-YEAR-OLD driver who fled the scene after his car hit a cyclist has been sentenced to community service in lieu of going to prison. Melvin Rattigan, now aged 20, failed to observe oncoming traffic before colliding with cyclist Laura Briggs, leaving her with serious injuries including a hairline skull fracture. Rattigan was an inexperienced driver at the time and did not have a full driving licence or insurance. He told gardaí he “panicked” after hitting the cyclist and drove off. He said he had not heard or seen the taxi driver who followed him and told him to return to the scene. 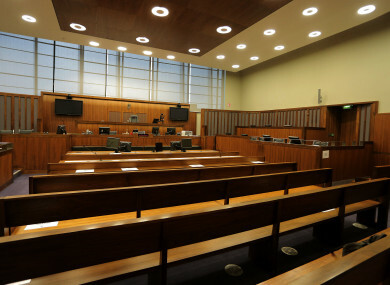 Rattigan, of Saint Mary’s Park, Dunsink Lane, Finglas, Dublin pleaded guilty at Dublin Circuit Criminal Court to dangerous driving causing serious bodily harm to Ms Briggs at Lower Dominick Street, Dublin on May 13, 2015. Passing sentence yesterday, Judge Karen O’Connor said it was an unusual case of dangerous driving causing serious harm, in that Rattigan had not been speeding, nor had he drunk alcohol or taken illicit substances. She said it was at the “lower end” of the range of seriousness for such offences, because although Rattigan should have observed the cyclist, “he simply didn’t see her”. Judge O’Connor noted that Rattigan’s previous good character and his efforts to further his education, and ordered a report from the Probation Services to assess his suitability for community service. Pending that report, she sentenced Rattigan to 240 hours of community service in lieu of two years in jail. Rattigan made the sum of €3,000 available by way of redress, but the court heard that Briggs declined the money and asked that it be given to St Francis’ Hospice and a youth charity. Judge O’Connor said the impact of the collision on Laura Briggs was very serious and had deeply hurt her both physically and emotionally. She also noted that Briggs was at a financial loss of €6,000 as a result of her medical treatment. She had previously read her victim impact statement out in court, outlining that she had ongoing difficulties from her injuries and suffered from depression. As well as a hairline fracture to her skull requiring stitches, her wrist was fractured which had left her with 50% less grip, unable to use a camera at work and in need of ongoing physical therapy. At the original sentence hearing, Garda Niall McCormack said Briggs had been cycling home from work at lunchtime. He agreed with Anne Marie Lawlor SC, defending, that both parties had a green light but Ms Briggs had the right of way as Rattigan was attempting to make a right turn from Dorset Street onto Dominic Street. Garda McCormack also agreed that Rattigan took the turn on the green light, not observing that there was a cyclist in oncoming traffic. Rattigan told gardaí that he thought Briggs had got back up and was okay after the collision. He said he had “absolutely panicked” and driven off. He said he did not hear a taxi driver who had followed him to tell him to go back to the scene. Lawlor said Rattigan felt huge regret and was shocked that Briggs had been injured in the way she was. She asked the court to take into account the serious effects the offence had had on the victim but to have regard to this young man and leave him in the community. The court heard that Rattigan is a member of the travelling community and has two young children. His wife was undergoing difficulties during pregnancy at the time of the offence. Judge O’Connor ordered a report to be prepared for 16 March to assess Rattigan’s suitability to carry out community service. Email “Teen who left cyclist with hairline fracture after Dublin hit-and-run avoids jail”. Feedback on “Teen who left cyclist with hairline fracture after Dublin hit-and-run avoids jail”.